We're partnered with Feefo, to help us collect genuine customer reviews. We’re delighted to announce that we’ve received the highest possible award from Feefo for our service based on genuine feedback from customers. 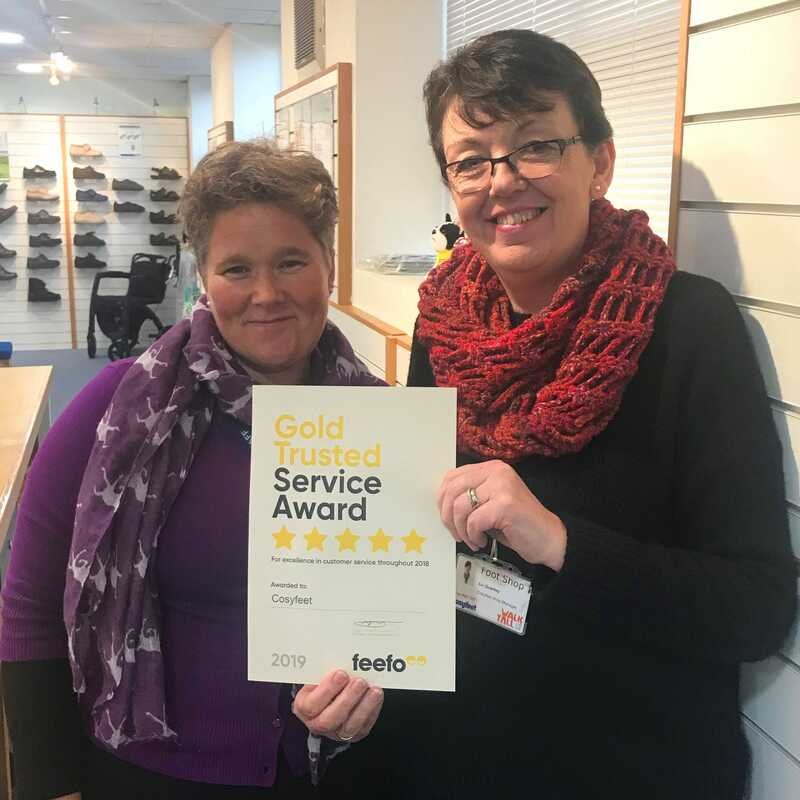 Here is Audrey and Liz from our Cosyfeet shop proudly holding up our Gold Trusted Service Award certificate. Thank you Feefo! Read our Feefo reviews here.